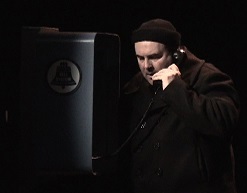 Hello ... Iron Mountain Stage Company? I'd like to join you as a volunteer. Iron Mountain Stage Company invites you to volunteer with us in various roles; audtion to be a cast member in a show, or assist with stage management and show production. We welcome your help! But you don't have to call us to join us. Just fill out the online form below and click "Submit" to send your infomation to us - then we'll contact you back to welcome you! *In addition to any other comments, please note here if you appear before any IMSC Bodies, or otherwise may have potential conflict of interest.